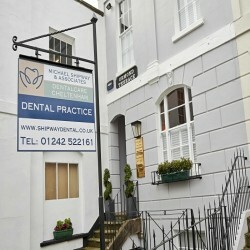 Welcome to Michael Shipway & Associates Dental Practice in Cheltenham Gloucester. We aim to provide the highest quality dental care in a modern and relaxed environment. From our qualified dental nurses to our friendly receptionists, dental hygienists, practice manager and our highly experienced dentists, at Michael Shipway & Associates Dental Practice our whole team is passionate about high-quality dentistry and proud to help our patients benefit from a happy, healthy smile for life.